France, Paris in particular, is one of the most popular tourist destinations in the world. Paris especially is a beautiful and historically rich city with plenty of world class dining and sights. As with any other different culture, it is important to remember things may be different than what you are used to. It is important to act accordingly to ensure appreciation and respect for different cultures. Here are a few tips to help Americans traveling to Paris. Although it is not necessary to learn all the nuances of this complex language of love, it is important to try. Brush up on a few key phrases and take this opportunity to practice your best french accent. Parisians will appreciate any effort, even if you butcher it. Although Americans don’t consider it a cultural norm to greet storekeepers or salesclerks in shops, Parisians do. It is considered almost as impolite as if you were to enter someone’s homes and not greet them. Bonjour and merci will take you a long way when traveling in Paris. Taking a taxi ride, even just a couple of miles, can end up costing you a lot. This is especially true later in the evening. 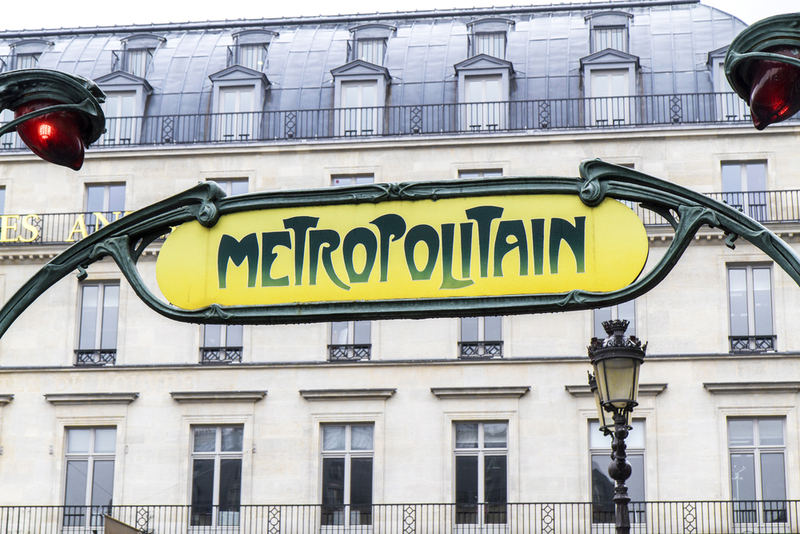 This makes the Metro your best and cheapest option for navigating through the streets of Paris. The Metro is very well connected and easy to use. Remember that the Metro closes at 1 a.m., meaning you will have to take a taxi to get home if you are out that late. After the terrorist attacks in Paris earlier this month, Parisian authorities have heavily increased security forces. Museums, monuments, stores, train stations, amusement parks and another area where large groups of people congregate are under constant police surveillance. Although Paris is probably one of the safest cities to travel to, it is still important and necessary to protect yourself by purchasing US citizen travel insurance. Chances are, you will need to plug something in at one point during your trip to Paris. France runs on 220 volts meaning there is a chance you will need a converter for at least some of your electronics. Make sure to do your research on which converter plug to bring. Paris has long been known as one of the most important fashion capitals of the world. This means you may feel out of place in sweatpants and sneakers while navigating the city. Although you want to be comfortable during a long day of sight seeing, you may want to dress up a bit. If you are interested in learning more about traveling to Paris, and what kind of travel insurance policies are available, contact Insurance Services of America at (800) 647-4589 today. Do you Need Travel Medical Insurance to Travel to Cuba? With a troubled history between the two countries, it can be difficult to understand the laws that dictate travel regulations between Cuba and the United States of America. But recent efforts by the U.S. have helped to ease tensions between the countries, allowing for more opportunities for both travel and trade. When traveling to Cuba from the United States, it is important to be aware of the new regulations between the nations and to have appropriate travel insurance for American citizens. Find out what has changed regarding Cuba and U.S. relations and what kind of health insurance is right for your trip to Cuba. Where Cuba was once a place that U.S. citizens were not allowed to visit is now a location that promotes travel, trade and financial activities between the two nations. With efforts to allow U.S. citizens to enter Cuba for reasons such as family visits, education and religion, it appears that the decades of feuding between the two countries may officially be coming to an end. In addition to enhanced travel and communication between the nations, U.S. insurers have been authorized to offer health insurance to travelers looking to spend time in Cuba. Travelers hoping to secure health, life and travel insurance can rest assured knowing that these services will still be authorized by the United States for people visiting Cuba. While tensions between the countries may be coming to an end, Cuba can still be a dangerous place for American citizens to visit. As with any trip in a foreign land, nothing is worse than having a medical emergency occur while away from home. To protect yourself from any kind of unwanted emergency, it is imperative that you purchase travel insurance prior to your trip to Cuba. To protect yourself from harm while visiting Cuba, check out our Atlas International Major Medical Atlas Professional plans. These insurance plans will keep you covered in case of an emergency overseas, ensuring that your trip goes smoothly and without problems. For more information on obtaining health insurance when visiting another country, contact Insurance Services of America today at (800) 647-4589. Is It Safe to Travel to Thailand in 2015? Thailand is a popular travel destination among tourists who want to visit a stunning, culturally rich country on a low budget. As is the case with most unfamiliar travel destinations, tourists often find themselves tossing around safety concerns prior to their vacation. Rest assured: As noted on TripAdvisor, Thailand is overall a safe nation to travel to, with crimes against “the person” being far less likely than in many other “developed” nations. To fully secure your own safety and that of your possessions, follow these general tips. Upon checking in, do a quick sweep of the room for security measures. Make sure the locks are working, the smoke alarm is in tact and that any windows effectively lock. When you leave the room, either take valuables with you or lock them in the safe provided by the hotel. Taxis in the capital, Bangkok, are a safe mode of transportation 24 hours a day, 7 days a week. Present yourself with confidence upon entering the cab and check to make sure the meter is starting at ‘TBH35’. Side note for female travelers: Nearly all cab drivers in Thailand are male. If this makes you uncomfortable, search for a company that supplies female drivers instead. They are less common, but they do exist. You’ll no doubt be carrying some sort of bag while you’re out and about exploring Thailand. Keep it close to your body while walking, especially in larger crowds. Pickpockets are not common, but they do come out of the woodwork every once in a while. Being a victim of theft in a foreign country is the worst-case scenario and can be avoided by being conscious of your surroundings. These tips will help keep you and your possessions safe and secure in Thailand. But if you’re not the type to leave safety to chance, consider international travel insurance. You never know what can happen when you’re so far from home. If you have the choice to be prepared, shouldn’t you take advantage of it? To get more information on international travel insurance and international medical insurance, call the experts at Insurance for Trips at (800) 647-4589 today!